Yes, you can have low carb pasta! Put the flour, quinoa if used and salt in a food processor fitted with the blade attachment and process briefly to mix. With the motor running (around speed 6-8), drizzle in oil and then the water. You will notice that the flour will resemble fine bread crumbs as the liquid is added, then course bread crumbs, then it will begin to bunch together. When it does this, it is ready. Remove dough from processor and knead briefly until smooth. Pass through your pasta machine as per its instructions, dusting with pizza/bagel flour as needed. If your dough is too wet, work in more flour as you pass it through roller. 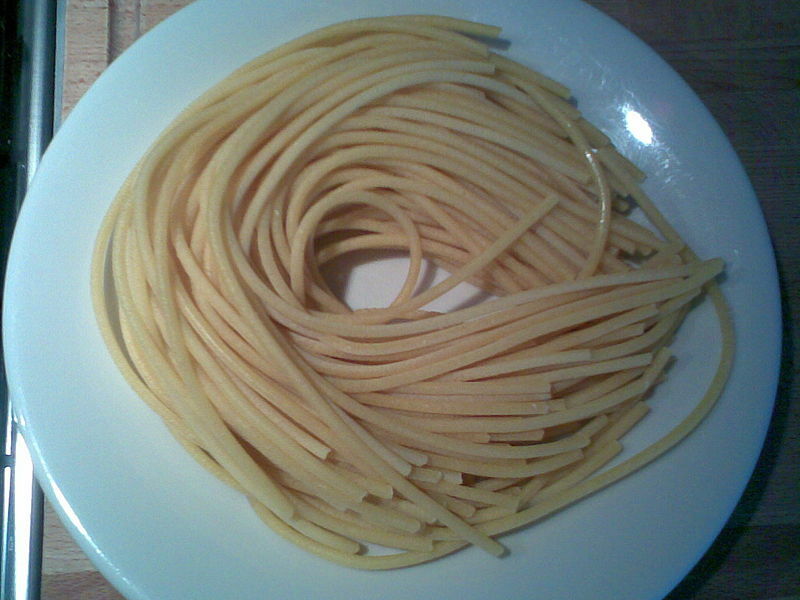 Drying the pasta for 20-30 minutes after it is cut makes it more durable and less mushy, and is essential if you want to store the pasta in the fridge to be used later. Hang the pasta on a cupboard door while you get the water boiling. 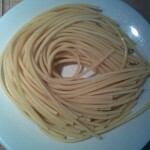 Fresh pasta does not take long to cook - just a minute or so once the water comes back to a boil. Some people prefer more chewy/somewhat rubbery fresh pasta. If that is you, add an egg and reduce the water by ⅛ cup.